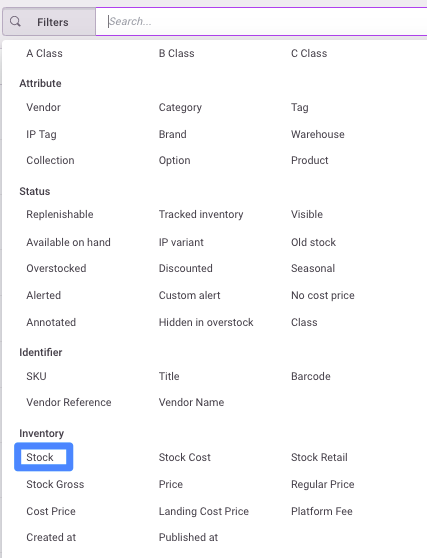 How can I view or export a list of products in stock? 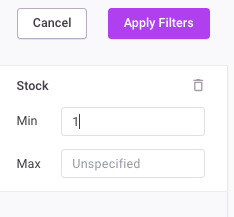 If you'd like to see all items in your store that have at least one item in stock, use the 'Stock' Filter. Then enter '1' in the 'Min' field. Leave the 'Max' field blank. 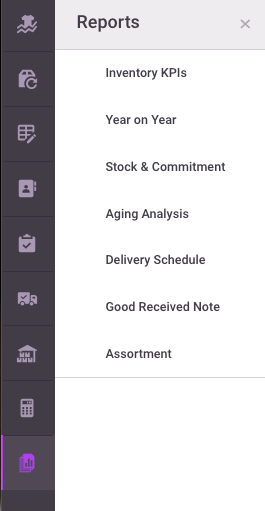 To export this list, click on the Export button at the bottom of the screen. This will provide you with a CSV file of the stock information.